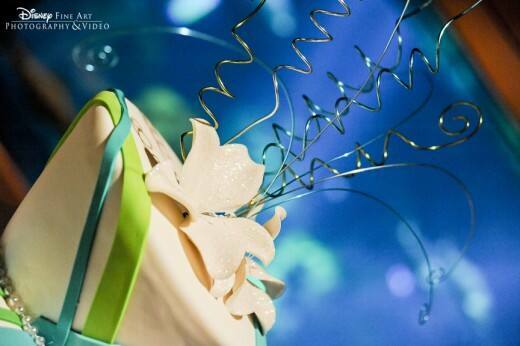 It's amazing what fondant ribbon can do! 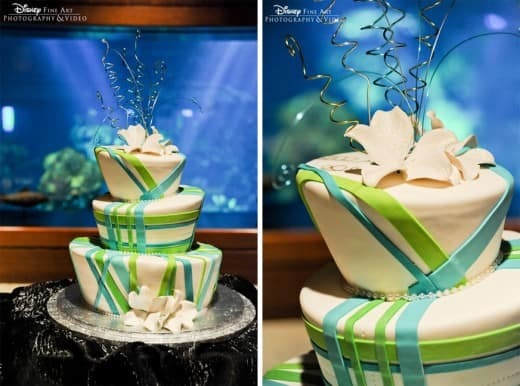 This week's cake compliments the Living Seas Salon at Epcot perfectly- and the salt-water tank makes for a gorgeous photo backdrop. I think I may have even spotted Nemo in the back... Happy Wedding Cake Wednesday!